Comixology just announced that it would be retiring the Pull List application on March 31st, 2018. We are happy to announce that we would like to offer a solution for stores who are looking to replace the Comixology Pull List app for their stores. We’ve written at length about how online ordering can improve your sales, and how updating your technology will improve your customer experience. 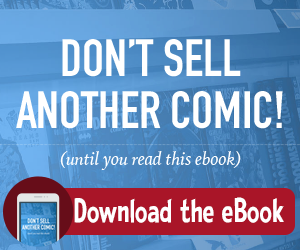 You may have been using Comixology’s Pull List app to have your customers update their lists, but we have an even better way. 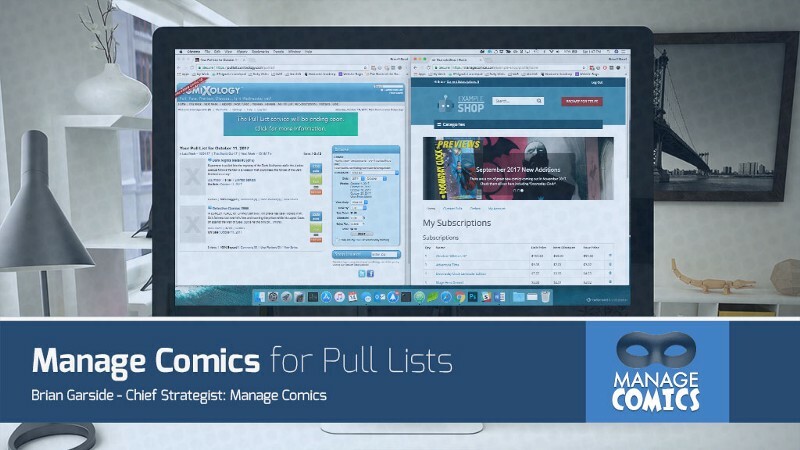 Manage Comics is an online pull list and subscription management service for comic shops that allows you to give your customers the power of managing their lists online, and lets you pull new releases with ease. 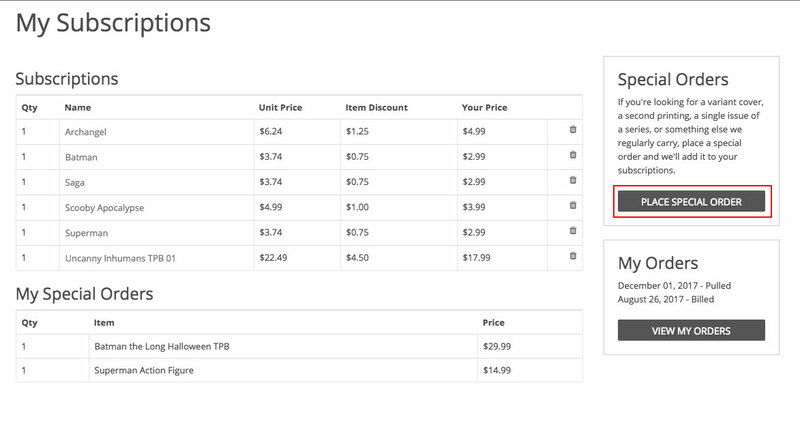 Subscriptions that are so easy to manage it’s like magic! This is the customer view of Manage Comics’ pull lists. 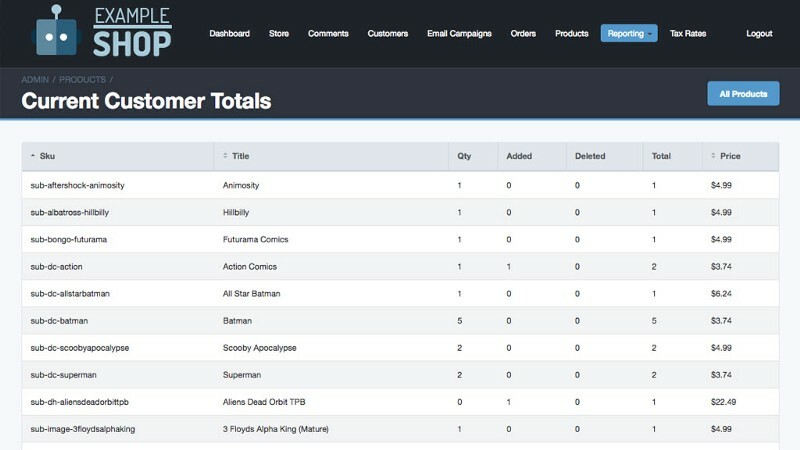 Your customers can subscribe to the comics they want to get, and you get to see their lists in real time. Customers just want to know what they’ve subscribed to, and they want alerts when their comics arrive. Current totals view for store owners. This is the admin view for store owners, you can see at a glance how many copies of each issue you need to order. We’ve optimized our site for search, and we make it really simple for anyone to find what they’re looking for. Adding new comics is as easy as looking for the title a customer wants to add. 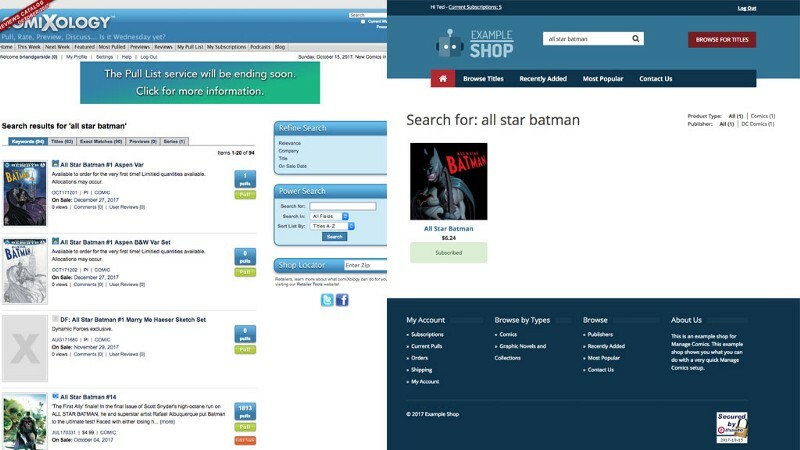 Even better, we give you the tools to add comics to a customer’s list right from your store administration view, just in case they ask you to add something while they’re in the store, or they simply don’t use a computer. Over 50% of website usage is done on mobile phones, and when someone is thinking about adding a new comic, they don’t want to have to wait until they get home or even worse, try to remember the next time they’re in your shop. With Manage Comics every page is optimized for mobile devices, meaning they can add Justice League while they are in line for the new Justice League film! Free is great, but free things often vanish. Manage Comics is a paid service, and we take most of the money we make and pour it back into improvements for the service. We have a complete road map for 2017, and we’ve already started identifying the improvements we want to make for 2018! Our last major update came on August 28th 2017. This is a service that is constantly growing and improving. Want to learn more? 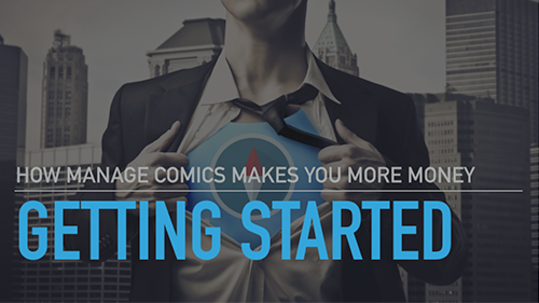 Check out the Manage Comics guide and see why we are the right choice for your comics shop.